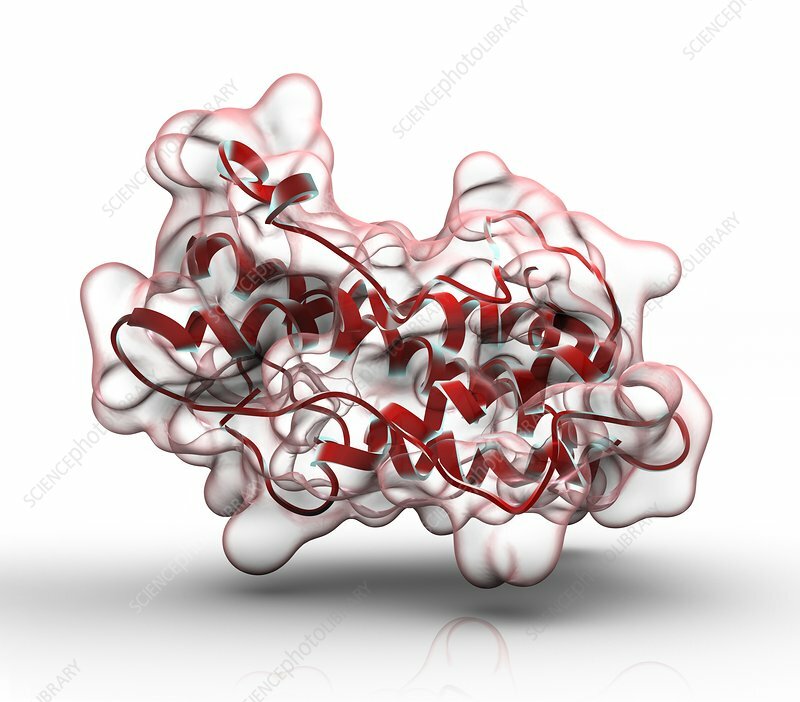 Human growth hormone (hGH) molecule, computer artwork. It binds to specific receptors on cells in the body to stimulate growth, especially in childhood. It is also involved in strengthening bone, increasing muscle mass, reducing glucose uptake by the liver and promoting the breakdown of body fat.